Facebook and Twitter do not support third-party interactive video technology. 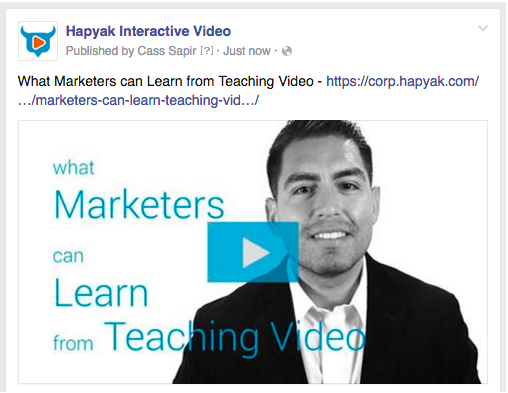 Best practice for sharing a HapYak project on Facebook or Twitter is to share a link to the web page where the video is embedded or to the HapYak landing page. This has the added benefit of directing traffic to your web properties. We recommend adding a poster image of the video to increase click through rate to the page.